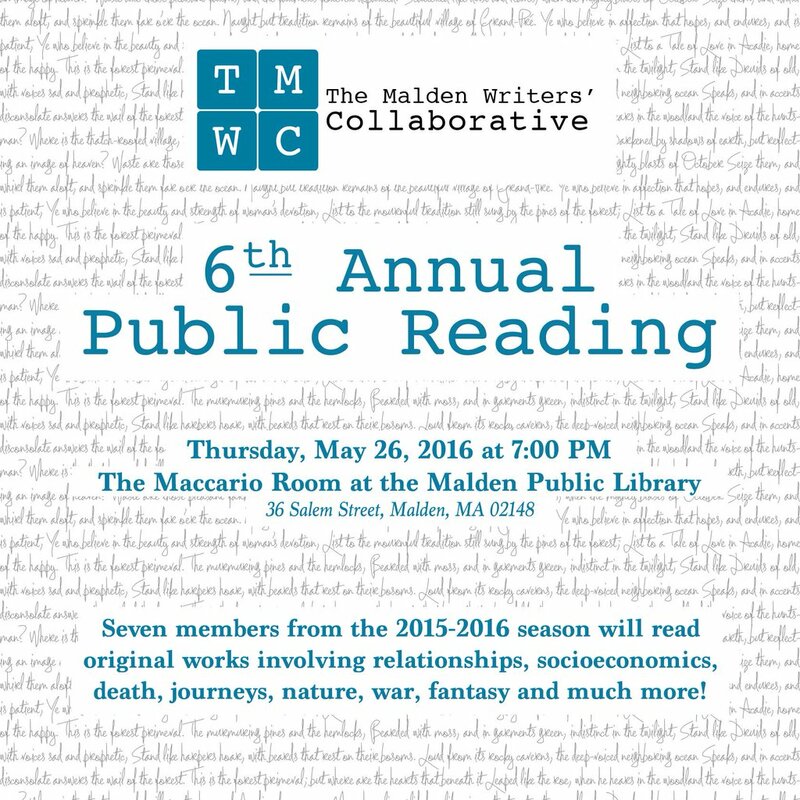 Join the Malden Public Library in celebrating the talents of The Malden Writers’ Collaborative on Thursday, May 26th at 7 p.m. Seven members will share original works of fiction and nonfiction, on relationships, socioeconomics, death, journeys, nature, war, fantasy, and much more! The Malden Writers’ Collaborative is a creative writing group that meets biweekly at the Malden Public Library. They focus on developing as writers through sharing their own work and critiquing the work of others. This event is free and open to the public. 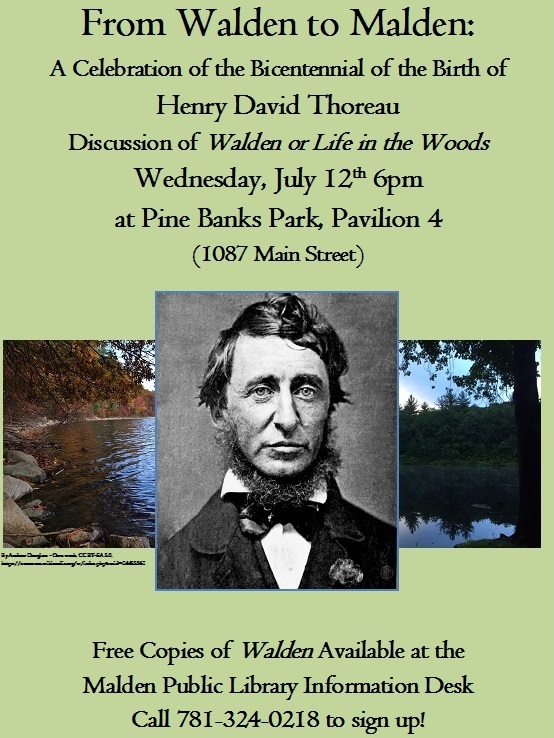 Refreshments will be provided through the generous support of the Friends of the Malden Public Library. Call the library at 781-324-0218 with any questions.